The Lawyer 2013 Firm has five offices across Somerset and Dorset. 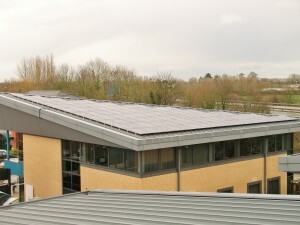 They chose specialist solar technology company Solar Systems to install 182 solar panels on their roofs at their offices at Blackbrook Park Avenue, Taunton. Nicholas Clegg, Finance Director at Porter Dodson, said: “We would like to thank the team at Solar Systems for its hard work during the project, we are all really impressed with the installation. We decided to install the panels as our Environmental Management Policy (EMP) has challenged us to find ways to reduce our carbon footprint. It is a considerable investment but proved to be the best value for money solution because once they have been installed they have an immediate benefit to the environment." “We chose panels made in the UK because we wanted to further minimise the carbon footprint associated with their manufacture and shipping. Nicholas continued: “The solar panels will also provide additional income, as we will sell any surplus energy generated back into the grid. We used Solar Systems as we always try to work with local suppliers whenever we can. The company also has a track record in the wider electrical contracting industry and it was this reputation that made them particularly attractive. 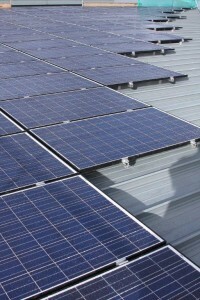 Solar Systems is a specialist in solar technologies. The company has a wealth of experience in the design and installation of solar photovoltaic (PV) and thermal panels for homeowners, land owners and businesses across the South West. Phil Grabham, Managing Director of Solar Systems, explained: “We are really pleased that Porter Dodson is happy with the work we have done and are glad they’re already seeing the benefits of installing the panels.